Ubisoft has shared first details about Rainbow Six Siege’s second “season” of Year 3, entitled Operation Para Bellum. As the name implies, the new season will be set in Italy. Specifically, somewhere in the countryside based on our first teaser image. Year Three Season Two brings a breath of innovation, spawning a new intel gadget, a Clubhouse map buff, an Echo buff, lots of gameplay fixes, and the Pick & Ban settings. On the gameplay front, expect a series of enhancements. We are adjusting how dropshotting is handled and implementing a new counter defuser animation. Make sure to play on our Test Server and submit your feedback on the R6 Fix. And we can’t wait to see you perform unprecedented tactics through the Pick & Ban system. This feature provides an extra layer of strategy between teams, as each side tries to counter their opponents’ picks during the banning phase. We also anticipate a thrilling twist at the last moment, when teams swap Operators for the unexpected 6th Pick. 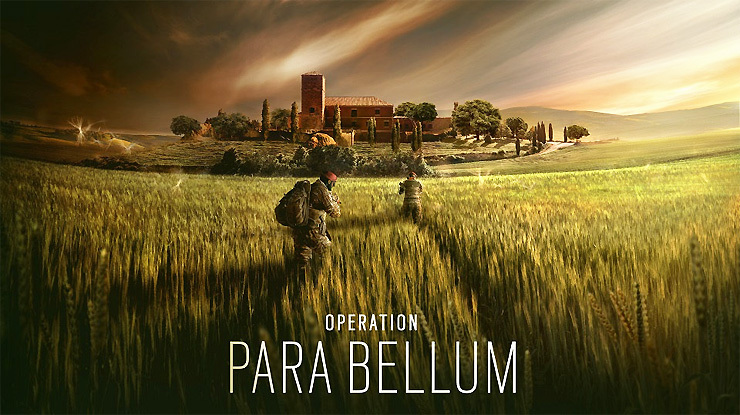 Lastly, we are releasing our Y3S2 major update: Operation Para Bellum. Two new Defenders are joining Team Rainbow in our most competitive map to date. 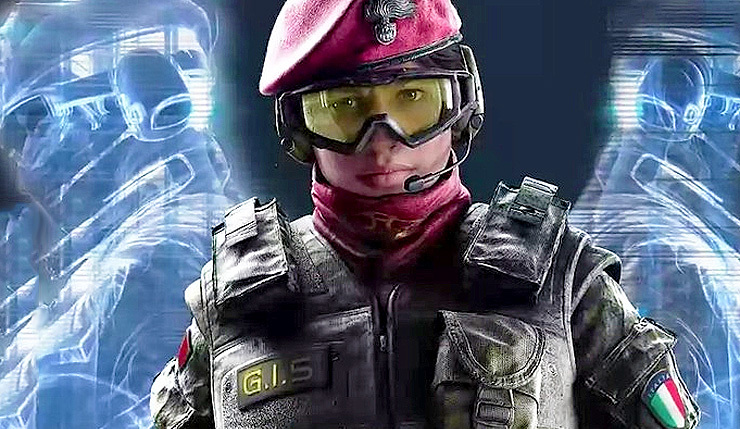 The Italian setting isn’t a huge surprise, as details of the upcoming Rainbow Six Siege season leaked all the way back in March. The two new operators will likely go by Alibi and Maestro (although those names aren’t final), and it looks like Alibi may be able to use holograms to her advantage. You can check out the leaked character art, below. Rainbow Six Siege is available on PC, Xbox One, and PS4. Operation Para Bellum will be revealed in full on May 19 during the Rainbow Six Pro League finals.